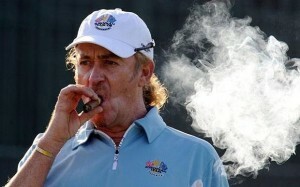 Miguel Angel Jimenez has been very critical of the European Tour as a result of the invitation from the Chinese player circuit at 13 years of age, Wo Ye-Cheng, to participate this week in the European Masters in Crans-sur-Sierre ( Switzerland). “It is nice as golf is not distinguish age, but for me, seeing a player compete against professionals 13 years I do not like, I think it’s too young,” said the Malaga player who came to helvetic ground for the twenty-fifth consecutive year . “People want to get things started soon and a 13-year-old should be playing with children 13 years old and not players with an average of 33,” he added. “There is no doubt that the sponsor wants publicity for the tournament, but if you have to look for underage players to promote it. Sorry, this should not be to allow “continued the player of 49 years.